When Ellie Pascoe finds herself under threat, the men in her life assume it’s because she’s married to a cop. But while they trawl after shoals of red herrings, Ellie is blasted off course with a motley crew of women on a voyage of discovery whose perils make Scylla and Charybdis look like a pair of Barbie dolls. Irish arms, Colombian drugs, and men who will stop at nothing create a tidal wave which threatens to sweep her away. She heads out of town in search of haven but instead finds herself at the very edge of the storm, in a remote clifftop house undermined by the sea. Fat Andy eventually smells a Security Service rat and comes steaming to the rescue, but for once it’s too little, too late. Ellie’s on her own (apart from her Middle England friend, Daphne; an octogenarian aid worker and her vapid secretary; a gorgeous South American money launderer; an ancient crone; and a female cop who gets up her nose) and must reach deep down into her reserves to find the strength to survive. What did you love best about Arms and the Women? 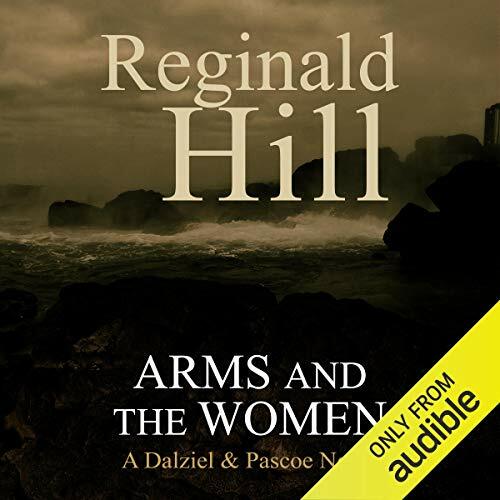 What other book might you compare Arms and the Women to and why? and that is saying a lot! Wonderful imagination, funny, touching and true to love and friendship. Truly best of the best. Would you try another book from Reginald Hill and/or Jonathan Keeble? What could Reginald Hill have done to make this a more enjoyable book for you? The characters were interesting, but the plot was very slow. I generally like R. Hills books but this was not one of them.